This is the Lamb-Garrett Home, at 1319 North Fillmore. Judge William Lamb built this home, around 1905. 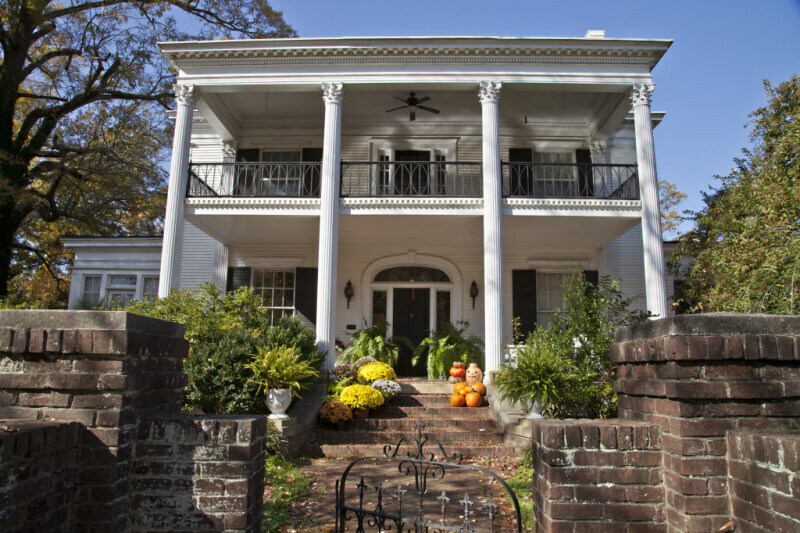 The current style of the house is Neoclassical. The front entry is set into a three-centered arch. The solid panel front door is flanked by rectangular sidelights, and the entry is spanned by a fanlight. A brick walkway leads to the front porch. There are nine pumpkins stacked on the front porch.